Ms. Rank defends corporate and insurance clients from first and third party claims involving bodily injury, premises liability, automobile claims, property damage, product defect, arson, harassment, discrimination, retaliation, and fraud. Ms. Rank also has experience defending Texas class action cases involving product losses, commercial claims and business torts. Ms. Rank is often retained by clients to provide training, including deposition training prior to examination of employees and supervisors. 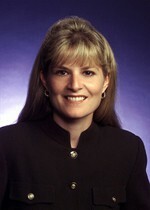 She has conducted hundreds of “mock” deposition and trial exercises to educate clients on effective deposition and trial testimony techniques.